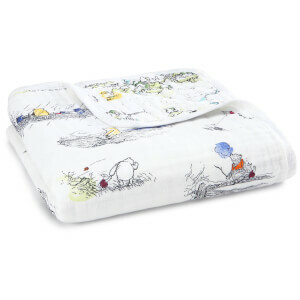 The Winnie the Pooh Classic Muslin Squares from aden + anais are crafted from 100% cotton muslin. An essential part of your baby kit, the pack of three soft muslin squares is invaluable for nursing and feeding and are perfect as a security blanket, emergency bib, comforter, lightweight blanket, burp cloth and sun shade. 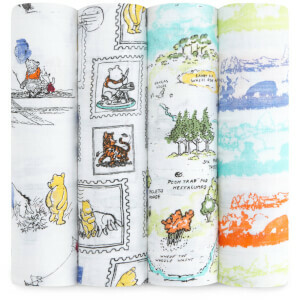 Decorated with delightful images from the much-loved Winnie the Pooh stories, the beautifully presented set will make a thoughtful baby shower or birthday gift. Dimensions: H: 70cm x W: 70cm.